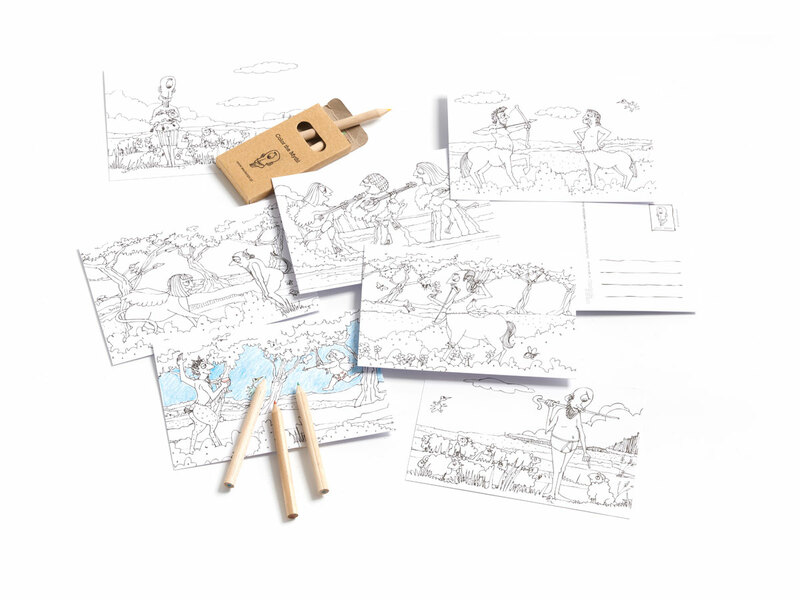 The Mythical Postcards, Color your Myth! 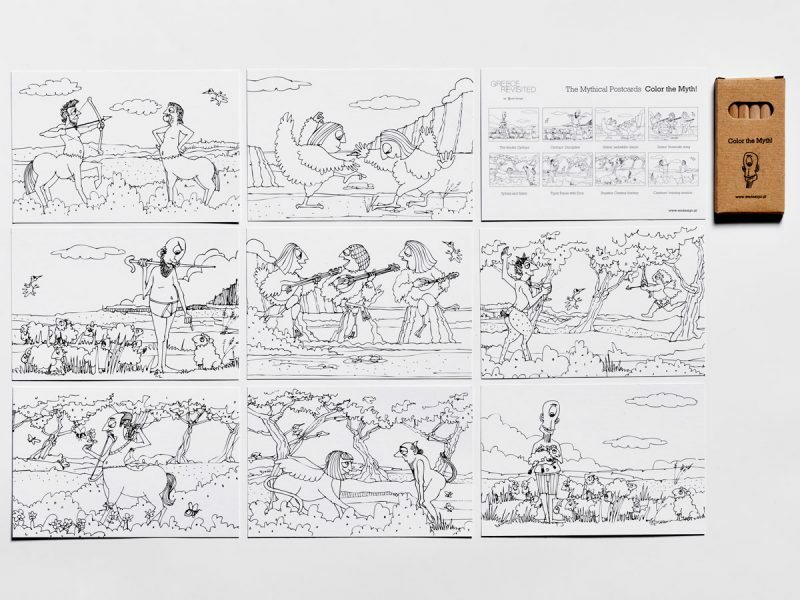 8 postcards depicting scenes of Greek Mythological activities. With a set of 6 color pencils.